Cost to fertilize a lawn varies greatly by region (and even by zip code). Get free estimates from lawn care and gardening professionals in your city. Cost to fertilize a lawn varies greatly by region (and even by zip code). Get free estimates from lawn care and gardening professionals in your city. How much does it cost to fertilize a lawn? Fertilizing is an important step to a lush and healthy lawn. Soil provides grass with many of the nutrients it requires, but that typically needs to be supplemented with fertilizer, which also helps with new leaf, root growth, and can help reduce and control weeds. Fertilizing also replaces soil and grass nutrients that are lost from leaching or grass clipping removal, as well as helps the grass recover from traffic, wear, pest and animal damage. For this example, we’ll consider the cost of professionally fertilizing an average 8000 square foot lawn. Fertilizing average cost is $50-$80. Fertilizing can be done by a professional lawn care service or by the homeowner themselves. It is recommended to start fertilizing a lawn in early spring (late February through March) and apply fertilizer every four to six weeks. There are lots of options when it comes to choosing fertilizers. All fertilizers should have nitrogen (which helps with plant growth and development and coloring), phosphorous (for root growth, fruit, seeds, and flowers), and potassium (for root development and drought and disease resistance). These ingredients should be easily labelled on the packaging. Before choosing a fertilizer, it is important that a soil test is performed. This can be done by a professional during the initial appointment, or it can be done by the homeowner with a DIY soil test kit available from a hardware store for $10-$25. A soil test determines the pH levels of the soil and determines how much fertilizer is needed, the goal is to have a pH level of 6.0 to 7.0. Most fertilizer packages have charts to help homeowners apply their pH level to see how much fertilizer is required and how often. Most lawn service companies charge a set priced based on the service provided and the size of the lawn. However, some lawn companies charge by the hour, with an average rate of $65 per hour. Lawn aeration 1 costs $120-$150 on average and should be done two to three times per year. This is done with an aerator that pulls up plugs of the dirt and grass throughout the yard and makes the grass more receptive to fertilizer and treatments, builds stronger roots, makes the grass more tolerant to extreme temperatures and conditions, and decrease water runoff. It can be done on your own by renting an aerating machine for $40-$60 per day. 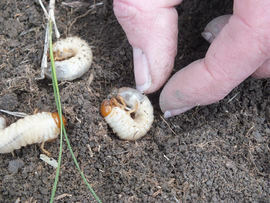 Grubs 2 are small insects that feed off the roots of grass and typically appear in the late summer to early fall. A DIY grub 2 treatment can be purchased for $20-$30 that is then spread over the affected areas. Professional grub control service typically costs $60-$75. Grub 2 treatment typically only needs to be done once a year. Adding lime to the lawn raises the pH level and can help improve the appearance of the grass. It is typically applied in the fall and comes in small pellets. A large bag of lime averages $10-$25 for DIY treatment, or a professional can add the supplement for $60-$75. Many professional lawn care companies offer a discount when you sign up for a regular service, such as fertilizer application every four to six weeks. Other packages include annual offerings, including a seasonal fertilizer and aeration treatment. Adding crabgrass 3 treatment costs an additional $75-$150. Weed treatments cost an additional $75-$150 for a common spray or powder application. Applying your own fertilizer is obviously significantly cheaper, but using a professional lawn service brings with it the professional opinion and typically comes with better results. Many professionals use fertilizer that is slightly more powerful that can work faster and last longer. Using a professional service can also create a safer atmosphere, especially with synthetic fertilizer 4, as you are not exposing yourself to the chemicals without proper protection. How much does it cost to fertilize a lawn in my city? Cost to fertilize a lawn varies greatly by region (and even by zip code). To get free estimates from local contractors, please indicate yours. Cost Considerations: Lawn aeration costs $120 to $150 on average and should be done two to three times per year. The larva of a beetle. While the adult beetle poses little threat to a lawn, the grubs can ruin a lawn by feeding on the roots of the grass. Cost Considerations: To get the best results for your money, be sure to apply the right type of insecticide at the right time of year. Applying it at the wrong time will make it less effective at removing the grub problem. A DIY grub treatment costs about $20 to $30. Professional grub control services typically cost $60 to $75. Grub treatment usually needs to be done once a year. A type of unwanted grass found in lawns. It keeps growing and spreading seed throughout the warm season, which makes it difficult to kill. 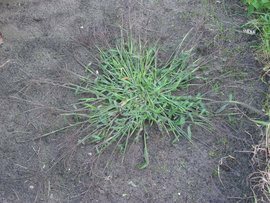 Cost Considerations: Treating crabgrass costs $75 to $150. An inorganic, chemically-derived, substance applied to soil/plants to increase soil fertility and aid plant growth. Cost Considerations: Synthetic fertilizers typically run $25 to $80. Their initial cost is generally less expensive than that of organic fertilizers.